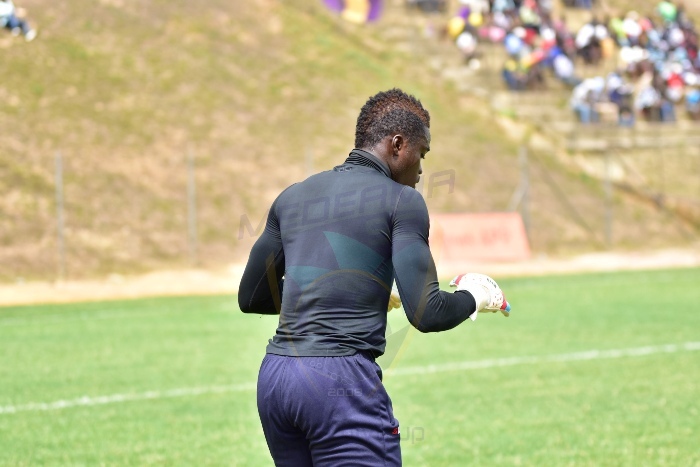 Goalkeeper Eric Ofori Antwi says he is elated with his splendid performance in the Zylofon Cash Premier League game against Accra Hearts of Oak on Sunday. The former Ghana under-20 goalkeeper was named man of the match in the game as his heroics prevented a buoyed Accra Hearts of Oak from picking all three points against the league leaders. Antwi has been impressive for the Mauves and Yellow who finished the first round of the Ghana Premier League at the summit. “Yes, I can say our performances have been lifted since the arrival of Coach (Samuel Boadu). And when you look at the club’s three goalkeepers, everybody is competing for a place. And for me it is because of the extra work I put in,” he said after the game. The 23 year old added the draw against Accra Hearts of Oak was good for them to maintain their pursuit of the premier league title. Having arrived from Kumasi Asante Kotoko Eric Antwi has had his tops and downs at the club but he has been the main man in post this season. “On the game, it was not an easy game but the draw is a good one for us,” he said. Medeama, two times MTN FA Cup Champions are eyeing their first ever Ghana Premier League glory.